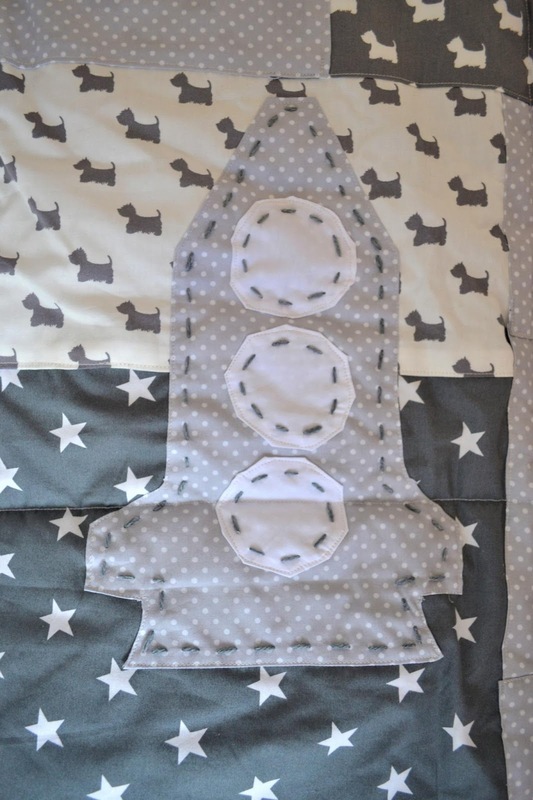 You know when you get so excited about something, you just can't wait to tell the world about it?! That's how I feel right now! 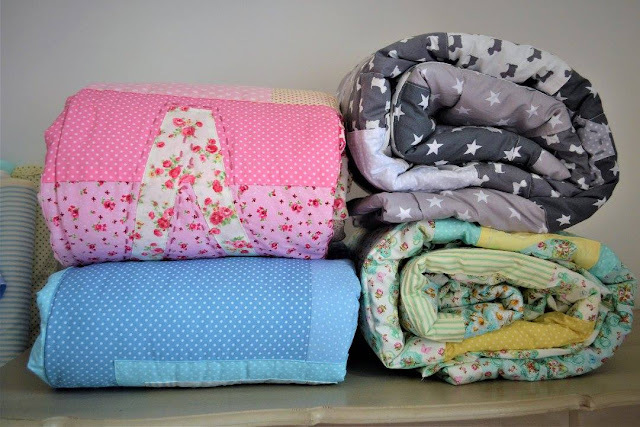 My fabulously beautiful friend, Anna Fourie, has just launched her business: Live & Play - Personalised Quilts and Much More. Live & Play offers you beautiful, bespoke children's quilts, cushions, cot bumpers and sheets using high-quality, durable, but soft fabrics. 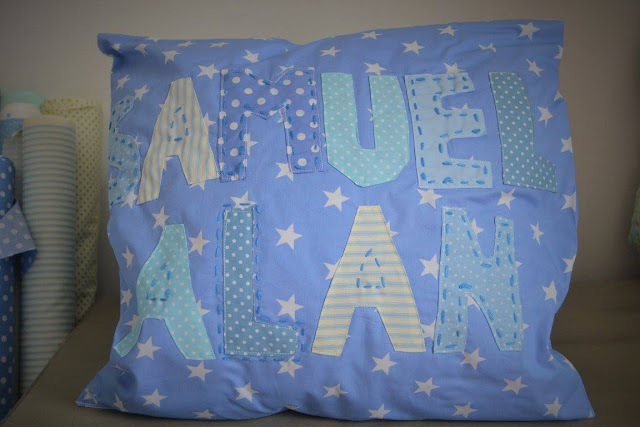 What's truly amazing about her products is that they can be custom-made with your child's initials or name, meaningful shapes and coordinating fabrics. Each of the patterns are hand-stitched, adding that special, customised touch to your child's quilt. These would make for WONDERFUL baby gifts that would be so meaningful for the new baby in your life. Take a look at the detail on these patterns! 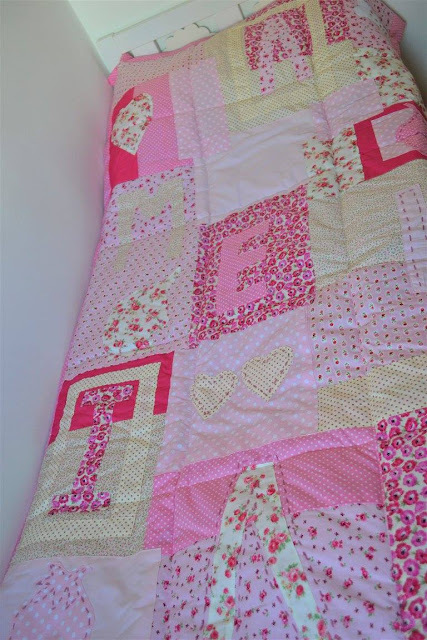 This is a Cath Kidston-inspired quilt personalised with the name "Amelia". I love this yellow and light blue quilt. 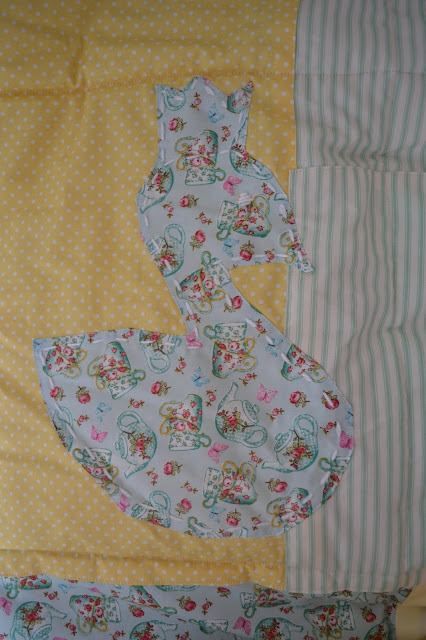 If you look closely, there are tea cup fabrics in two shades as well as a coordinating floral pattern: simply beautiful. 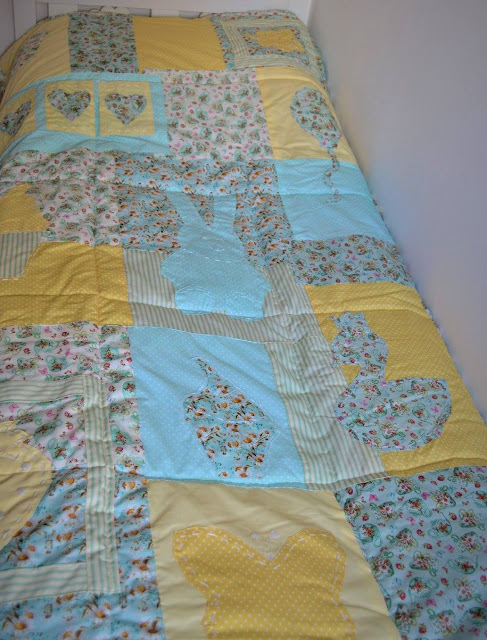 The children's quilts come in various sizes: 60cm x 120cm, 70cm x 140cm, 100cm x 170cm. 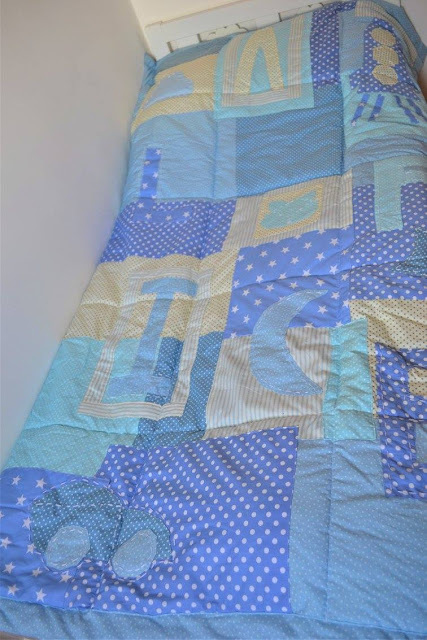 The prices are very reasonable, too! 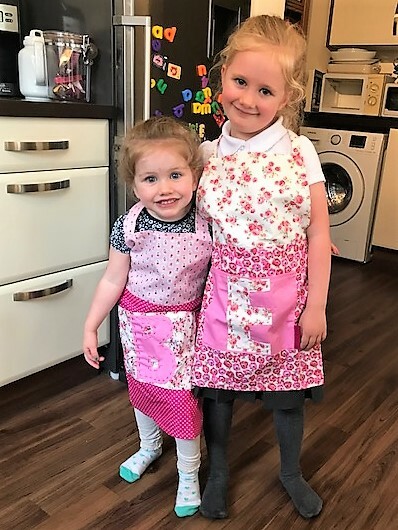 My girls are wearing aprons that Anna made just for them. Aren't they fantastic?! I'm sure these will be in her product offering very soon. PLEASE check out and "Like" the Live & Play Facebook page: https://www.facebook.com/childrensquilts/ and by all means, contact her with any questions you may have.